The right makeup brushes are essential to flawless makeup application. I mean let’s be honest, those little brushes that would come in our drugstore eyeshadows and compacts when we were teens just cannot give us a perfectly blended Instagram selfie-ready look. There are numerous makeup brush sets available for you to consider. 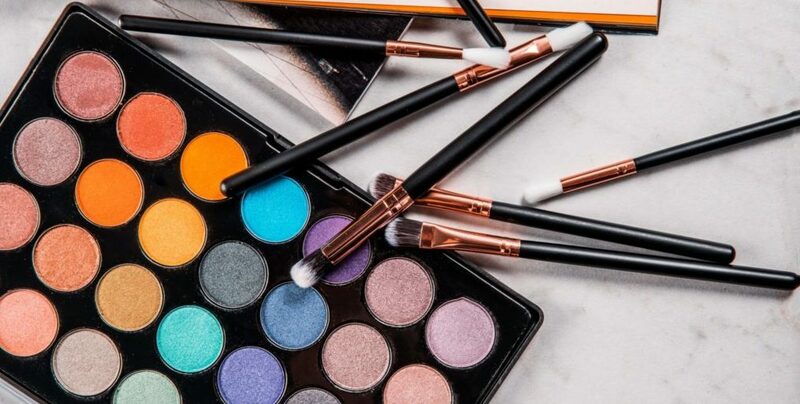 With so many different brands and types of brushes to choose from, it can be a little overwhelming when shopping for a new makeup brush set. Did you know that there are great quality makeup brushes that you can order online? 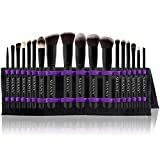 They are great quality, with all of the brushes you need, all without breaking the bank. 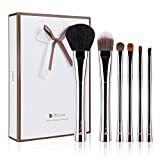 First let’s talk about what to look for and what to avoid when buying a set of brushes, before we look at the best makeup brush sets that are available just one click away. 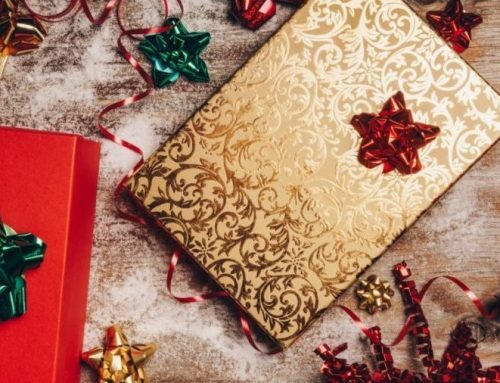 It is important to look at the quality of the product you are buying. This is critical to achieve flawless, precise application and durability. The quality of the bristles is one of the first things that you will want to consider. How soft are the bristles? This affects how the brush will feel on your face, the amount of product it will pick up, how the product is distributed, and how it blends the product out. The type of bristles will also affect your choice of the right tools. This will depend on the type of makeup you usually use and your ethical preferences. There are brushes with natural hairs that are best for those that use powder foundations and concealers. 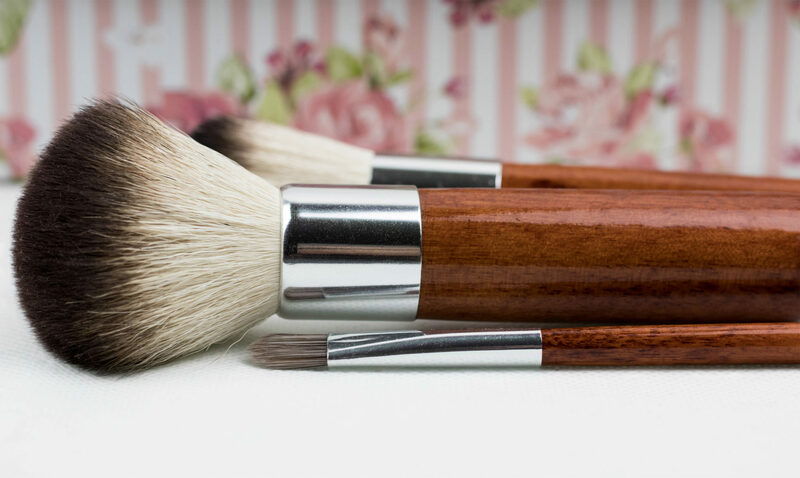 Synthetic brushes are best for creams and liquids. But now with science, there are a lot of synthetic blends that work just as well as natural hairs, if that is something that you are against. Depending on your beliefs and lifestyle, look for brushes that are vegan and cruelty-free. Another key to your selection is how well the bristles of the brush are attached. There is nothing worse than chiseling out a fierce contour and having loose brush hairs flying everywhere. Read reviews to make sure that the brush does not begin to start shedding after the first few washes. Also, make sure that the bristles do not easily lose their shape after proper washing. A good brush set will last you for years, not a few months. Ensure that the handles of the brushes are durable and will not detach. A proper handle gives you control to apply a flawless and precise application. It is never fun to fall in love with a brush that loses its handle and you are left to blend your makeup with the base of the bristles. This is a common occurrence with brush sets that at such low prices they “sound too good to be true”, this is because they usually are. 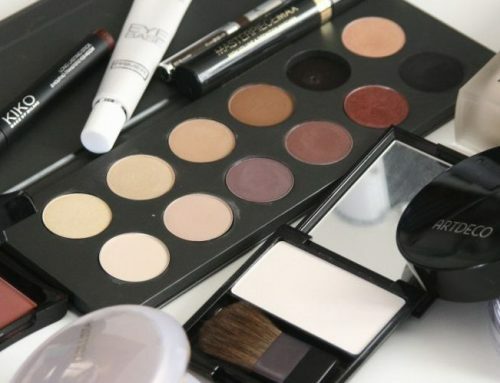 The price of a makeup kit does not always determine the quality of makeup brushes. There are some high-quality kits that have every brush that you need and will last you for years all for under $50. 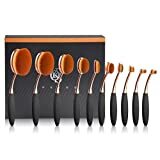 For makeup brush kits, it is more important to look at quality than price. 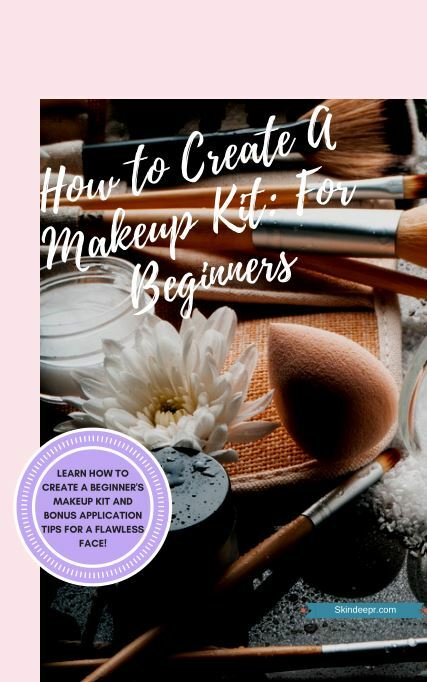 If you are looking to splurge on a makeup tool, try buying one or two brushes that you will use often, such as foundation or concealer brushes. A brush used for powder, such as foundation would be the perfect excuse to splurge. The best powder brushes are made from natural hairs. This is because they have cuticles which allow them to pick up more pigment and gives you more control over application. Do you feel overwhelmed yet? Well, don’t. 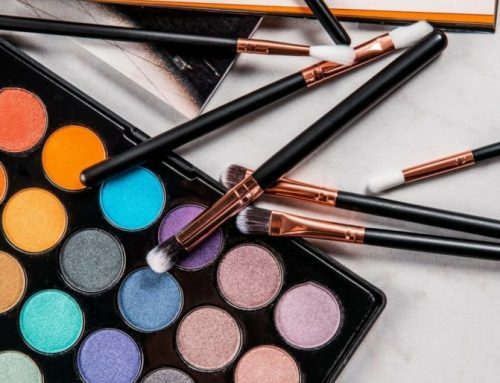 We have hand-picked the top makeup brush sets on the market. These quality tools will help you follow along to all of those YouTube tutorials and help you to feel like a professional. Keep reading to find the right set for you. 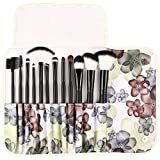 This 12-piece cruelty-free makeup brush set from Unimex comes with a cute floral carrying case to keep your brushes organized whether your traveling or while at home. 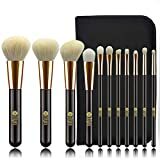 This set has pretty much every brush you would need to achieve a beautiful makeup look, with all the basic tools included. With a durable wooden handle, these glamorous brushes would make the perfect addition to your makeup bag. Have you looked at your makeup brushes and noticed they all need to be replaced? This set might be exactly what you need. Shany’s Artisan Easel kit includes 18 different brushes, some with synthetic bristles and others with natural hair. This beautiful brush collection has everything you would need to create a gorgeous makeup look. A precise and flawless application is what the assortment of synthetic brushes can give you. With 14 different ones to choose from the possibilities of makeup looks is endless. BS-Mall provides soft and durable brushes that will make you feel like a Hollywood star. Oval brushes have become very popular on social media over the past year because of their strange shape and their perfect application. These silky soft bristles effortlessly blend the products onto your face, making your everyday routine an entirely new experience. If you wanted to give these new brushes a try, we highly recommend this “trend”! This set from Feiyan has all of the essentials that you need to take you from your everyday look to a night on the town. With 11 synthetic brushes and 4 brushes with goat hair, you can rest assured you have the tools to handle any and every product you have. 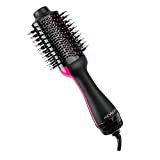 This is the perfect set if you are a beginner or in need of a brush overhaul. These densely packed brushes made of high-quality natural hair will make you feel like royalty while you are applying all your powders. The handles are made from chic nickel-copper to give a gorgeous look and make it easy to clean. This 6-Piece set is perfect if you use a lot of powders and are looking for a durable, high-quality set.